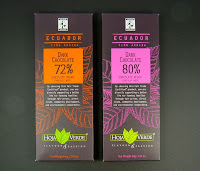 Today was Day #3 of Chocolate and Ecuador Theme Week. 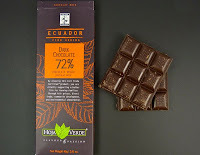 I was kindly provided with today's 72% dark chocolate bar (and another 80% bar that I'll feature tomorrow) from Hoja Verde (Ecuador) to sample while attending the recent Winter Fancy Food Show in San Francisco, CA. 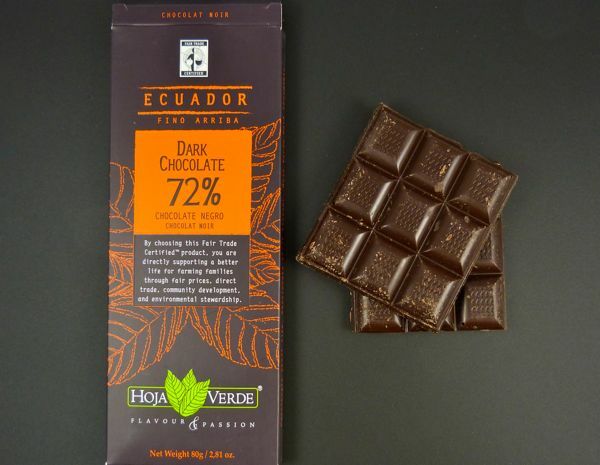 This Hoja Verde 72% bar was made with Fair Trade Certified, Fino Arriba variety cacao beans that were grown in the tropical lowlands of Ecuador. Translated from Spanish, Hoja Verde means green leaf. 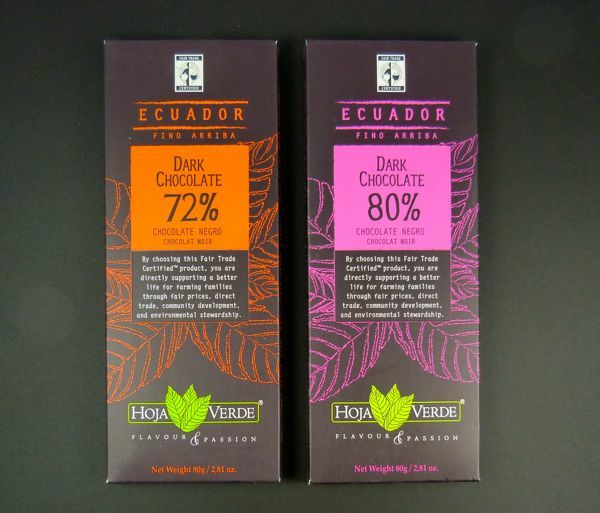 This name might refer to the fact that cacao trees were "grown amid shaded plantations." The bar itself had a hard snap, and smelled chocolatey. It had a smooth flavor, with a very low fruit acid profile (I would have liked a touch more), and a texture and taste that was somewhat influenced by the addition of soy lecithin (added to many bars as an emulsifier). There was nothing wrong with this pleasant bar, except for a very slight chaulky finish. Note: I will be traveling this week, and some posts and photos may be delayed due to lack of Internet access.